Willem de Kooning’s entire artistic career is characterised by the ease with which he moved between abstraction and figuration. His exhibition at the Sidney Janis Gallery in 1953 showing a group of paintings of huge-sized, expressive women was a succès de scandale. The gestural brushwork and violence of the colour, combined with a portrayal of the female figure that was grotesque, demoniacal even, in appearance, ushered in a stage in which the artist sought to capture the vital energy of the human being in his works. Red Man with Moustache, a work painted in 1971 that can be linked to this series, shows a sculptural full-length figure of a man concealed behind a jumble of thick gestural dabs of impasto that conveys great vitality. The elongated canvas — a format the artist used after moving his studio to Long Island in 1963 — allows him to portray an oversized, larger than life figure. 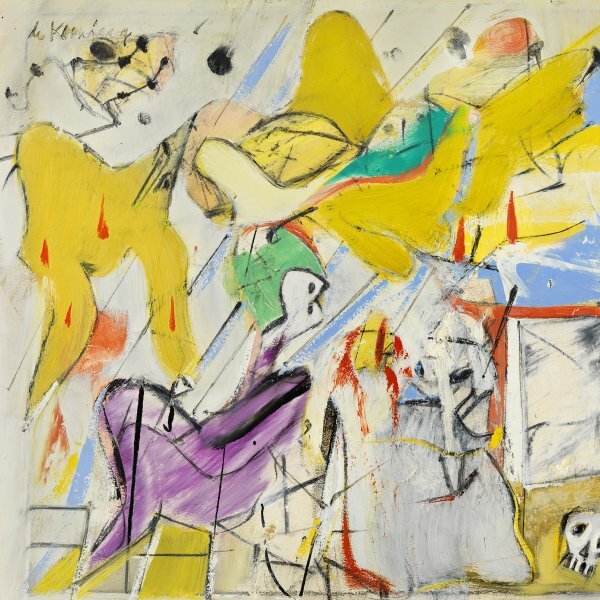 As in other paintings by De Kooning, the picture space is defined by crammed, almost claustrophobic brushstrokes that leave no breathing space whatsoever, adding to the abstraction of the image. 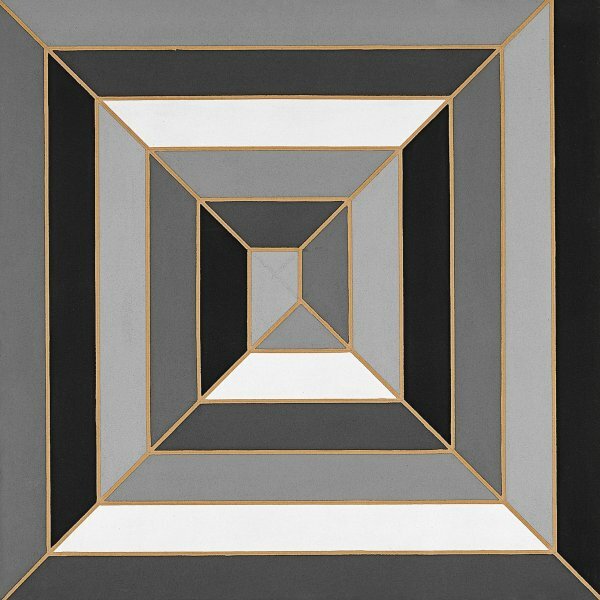 It is therefore through the very act of painting that the artist succeeds in erasing all distinctions between figuration and abstraction. 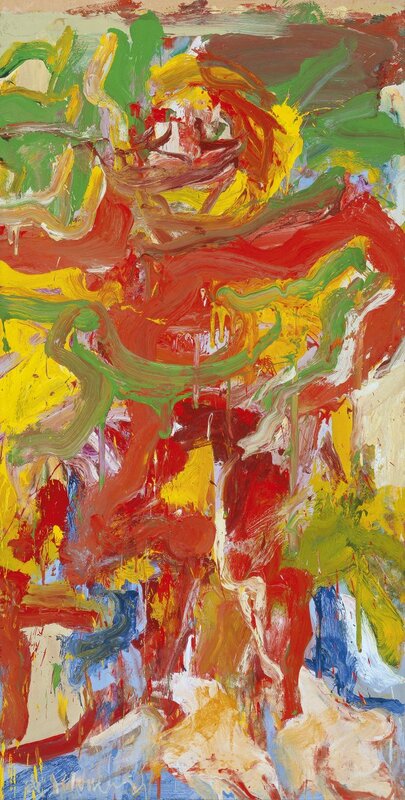 The predominant red, often found in De Kooning’s compositions from the 1960s onwards, is linked to feelings of passion and rage. Its widespread use in the present composition could be interpreted as the artist’s need to utter a deep cry that inevitably recalls the convulsive deformation of Bacon’s figures.